It’s a wildly eclectic yet entirely natural career progression for the unpredictable artist. Many may not recognize the name J.D. Wilkes. But it’s likely you have seen either one of his bands — The Legendary Shack Shakers or the Dirt Daubers — over the past two decades, slinging out a crazed, bug-eyed combination of rockabilly, hillbilly and country blues, somewhere near your hometown. Also known as Col. J.D. Wilkes, his hopped-up, caffeinated frontman status of those acts was a vehicle for his somewhat warped, generally manic and always intense aesthetic of Southern gothic madness. 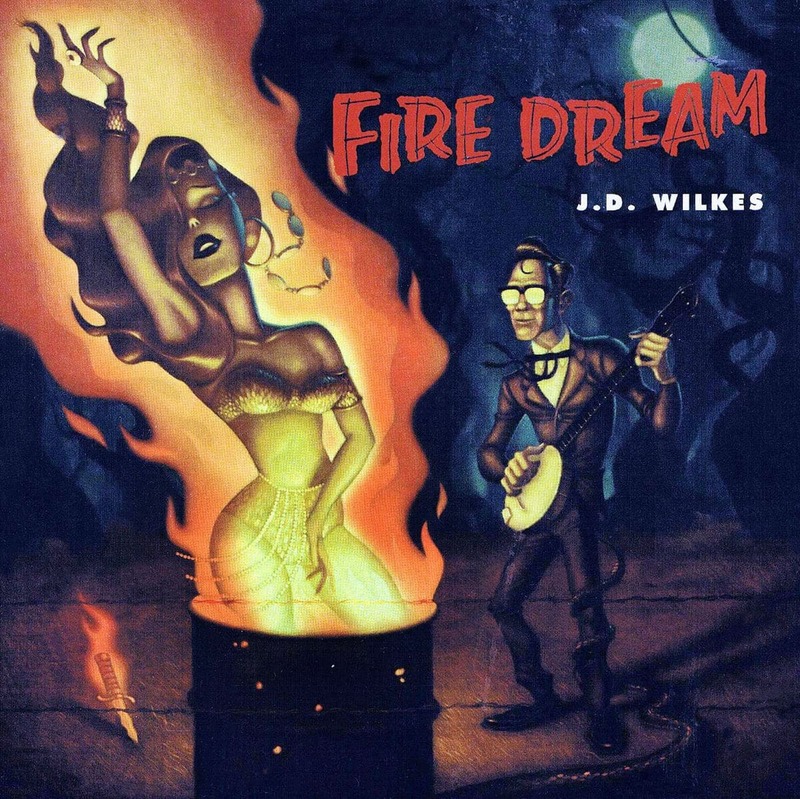 So it’s somewhat surprising that 2018’s Fire Dream is the first official solo Wilkes project. While there are intermittent references to his previous work, this reveals yet another side to his already unique persona. It won’t take long for even the most casual Tom Waits fan to hear his influence on Wilkes’ style. The opening title track, with its clippity-clop percussion, oom-pah beat, gypsy and tango strains, and especially Wilkes’ crusty talk/shouted vocals, could be an outtake from Rain Dogs. Elsewhere, he gets assistance from the Bo-Keys’ horn section and multi-instrumentalist Dr. Sick from the similarly diverse Southern musical de/re-constructionists the Squirrel Nut Zippers. That act’s founder, the irrepressible Jimbo Mathus, also serves as this project’s co-producer and a more perfect meeting of the minds is hard to imagine. Mathus navigates Wilkes’ explorations into backwoods hillbilly (“Rain and Snow”), ragged country fiddle and banjo driven hoedown (“Starlings, KY”), and twisted horn-fueled reggae-fied R&B (“Down in the Hidey Hole”) with the skill of someone as comfortable flinging his red clay musical net as Wilkes. Although there isn’t much of the manic, jaw-droppingly agile harp work he displayed in the Shack Shakers, Wilkes’ less well known piano skills are featured on the hoodoo/voodoo “Bible Candle and a Skull,” a tune that wouldn’t be out of place on a Zippers album. There’s high energy mountain music (“Wild Bill Jones”) and even a Phil Spector reference in the “Be My Baby” drum opening to the creepy string-dominated “Walk Between the Raindrops,” another tune that seems plucked from Waits’ Big Time songbook. It’s a wildly eclectic yet entirely natural career progression for the unpredictable Wilkes, whose vocals and overall approach is slightly less frenzied than we have come to expect. Credit the Mississippi-based Mathus for employing a variety of sympathetic backing musicians to make this music feel alive, kicking and edgy, adjectives that have typically defined the difficult to pigeonhole J.D. Wilkes. Whether he’ll return to a band format with the Shack Shakers is unclear, but the impressive Fire Dream proves he doesn’t need to.